(OAKLAND, CA) Laney College’s Pocket House Project was a finalist in this year’s National Science Foundation (NSF) Community College Innovation Challenge (CCIC). The Washington, D.C.-based agency in partnership with the American Association of Community Colleges (AACC) made the announcement earlier this month. Along with Laney, ten other projects from community colleges across the country were chosen by the NSF for their ingenuity in science, technology, engineering, and mathematics (STEM). “We asked teams of community college students, alongside faculty mentors and industry partners, to propose innovative, STEM-based solutions for real-world problems,” said Jim Lewis, acting head of the NSF’s Directorate for Education and Human Resources (EHR). “They responded with revolutionary projects that redesign solar panels, address issues of homelessness and defend against cyberattacks. With creative thinking like this, we are confident that our investment in community colleges will produce a vital return in building up the U.S. science and engineering enterprise. Laney College was selected after students and faculty from the different career and technical education (CTE) departments submitted a written and video proposal on how pocket or “tiny houses” could overturn homelessness by using digital fabrication methods to create safe, inexpensive homes that are quick to manufacture and simple to assemble. Laney’s Pocket House is a smaller-scale version of “The Wedge” — a tiny house fabricated last summer that produces all the energy it needs. Both, The Wedge and the Pocket House were built with money from the City of Oakland as a way to promote innovation in solving the Bay Area’s current housing crisis. “The Pocket House has been an amazing project that provides students with an opportunity to focus on a real life project with the potential for meaningful societal impact,” said Danny Beasley, Laney’s FabLab Director and one of the project’s leads. Finalists have the opportunity to attend an NSF-AACC-sponsored Innovation Boot Camp in Arlington, Virginia in June. At the boot camp, students will learn how to put their proposals into action to make real-world change. For a list of all ten finalists, click here. For a short video about Laney’s Pocket House Project, click here. For a short video about “The Wedge,” click here. 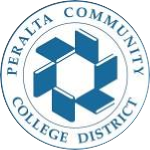 Located in the heart of Oakland, Laney is one of four colleges in the Peralta Community College District. Laney offers over 100 high-quality academic and career technical education programs to an estimated 13,000 students. To learn more about Laney College visit, Laney.edu. Laney College does not discriminate on the basis of age, race, religion, color, gender identity, gender expression, sexual orientation, ancestry, citizenship, national origin, military or veteran status, disability, marital status, pregnancy, medical condition, and immigration status.